I personally love winters. The chilly season makes me feel fresh and alive. Cozy jumpers, boots, scarves, and what not! But, unfortunately, winter is the time when our skin does not like to cooperate with us. During these months, our skin tends to get dry, itchy, and dull due to lack of moisture. We usually look around for good cold creams and body butters to moisturize dry skin. In our search for the best solution, we often overlook things available at our home that can enhance our skin care routine. 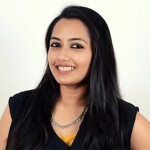 Here is a list of top 13 home remedies for skin care in winter. Use them, and you will fall in love with your skin all over again! 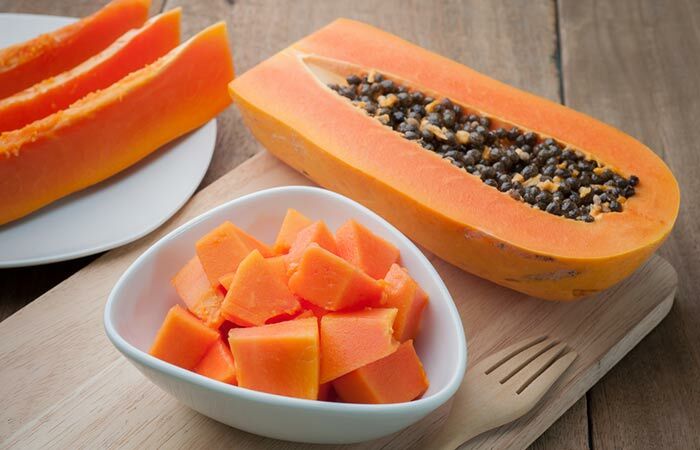 Papayas contain antioxidants and bananas are known for their vitamin content. These two fruits also work as anti-aging agents (1, 2). Honey is a natural moisturizer for the skin (3). Using this pack will help rejuvenate your skin, making it firmer and younger looking. 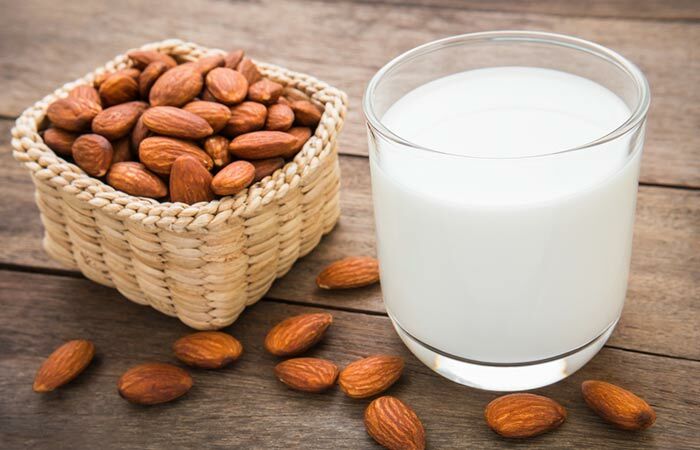 Almonds are rich in vitamin E and essential fatty acids (4). Milk is a wonderful moisturizer for the skin. Its acid content and enzymes will exfoliate your skin and make it soft, supple, and glowing (5). Using this face pack will reduce dryness and make your skin softer. Do not use this face pack if you are allergic to milk and milk products. Yogurt is rich in zinc, calcium, vitamin B6, and other useful enzymes. It cleanses the skin and also lightens blemishes (6). 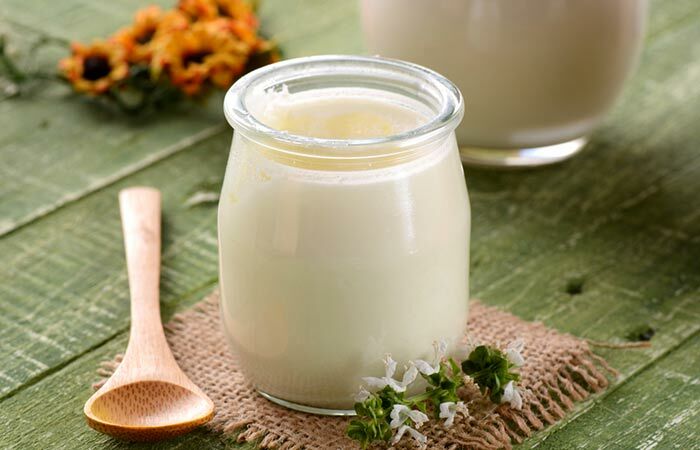 Buttermilk contains lactic acid that has a mild peeling property and helps to clear dry and dull skin in winter. It also soothes the itchiness that accompanies dry skin (7). Do not use this face pack if you are allergic to milk products. 1. Wash your face and pat it dry. Leave it slightly damp. 2. Dip the cotton ball in the glycerin and apply on the face. Avoid the eyes and the lips. 3. Leave the glycerin on. Do not wash it off. 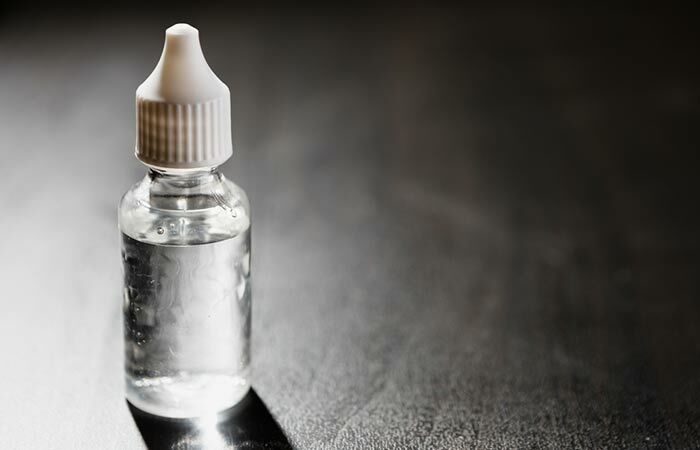 Glycerine is easily available and is used to solve various dry skin problems. It is a natural moisturizer and helps to restore hydration of the skin, making it soft. This is because of its humectant and emollient properties (8). 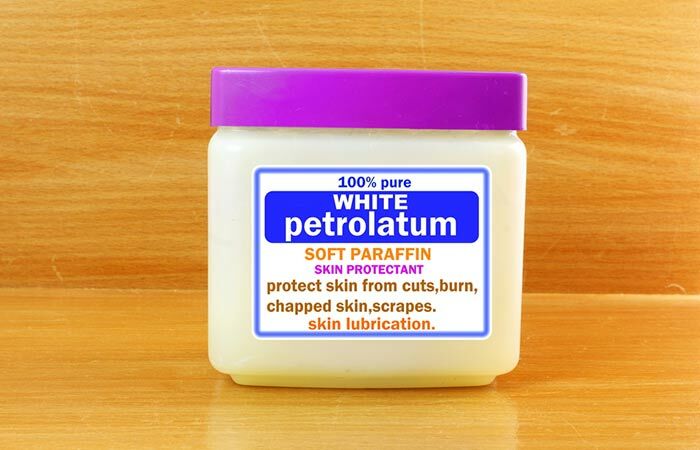 Petroleum jelly is easily available and comes very cheap. It can be used on dry skin, dry lips, and cracked heels – the remnants of winter on our body. Petroleum jelly is an emollient and has skin moisturizing properties (9). It helps to get rid of the above-mentioned dry skin conditions. 1. 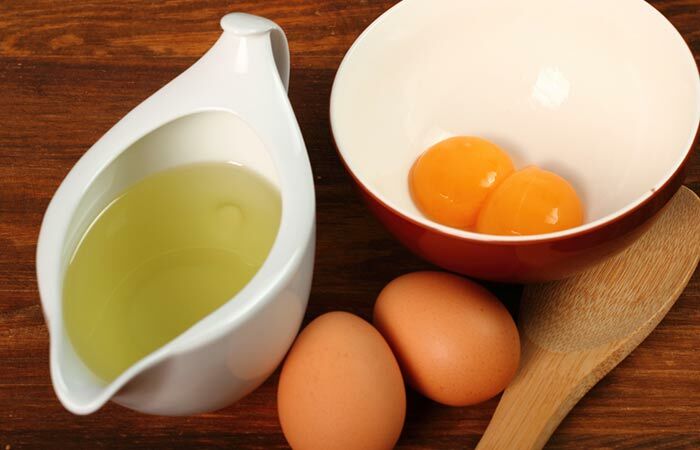 Add the olive oil to the egg yolks and whip them to get a stable mixture. Olive oil is rich in natural antioxidants and vitamins E and K (10). Egg yolk contains vitamin A and lecithins that nourish the skin and treat dryness effectively (11). Using this face mask twice a week during winters will make your skin glow. 1. Mash the avocado and add the honey to it. 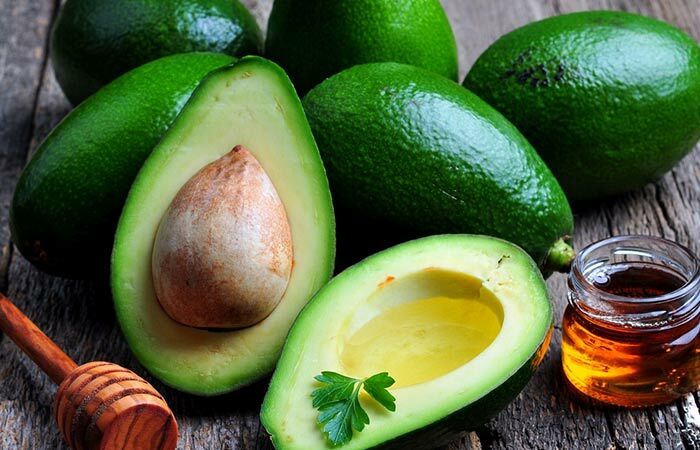 Avocado and honey are both humectants and help cure dry skin problems during winter. Avocado contains healthy fats, vitamins E and C, and carotenoids. They protect the skin from free radical damage and keep it hydrated (12). 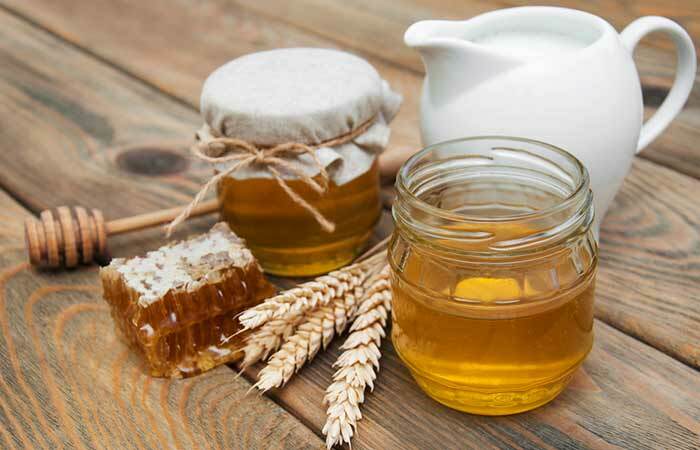 Apart from moisturizing properties, the antioxidants in honey keep the skin young looking (3). 1. Dab coconut oil on the affected area and massage until it gets absorbed into the skin. 2. Do not wash off the oil. Coconut oil makes the skins softer and provides moisture to the skin naturally. It is rich in fatty acids and prevents moisture loss (13, 14). 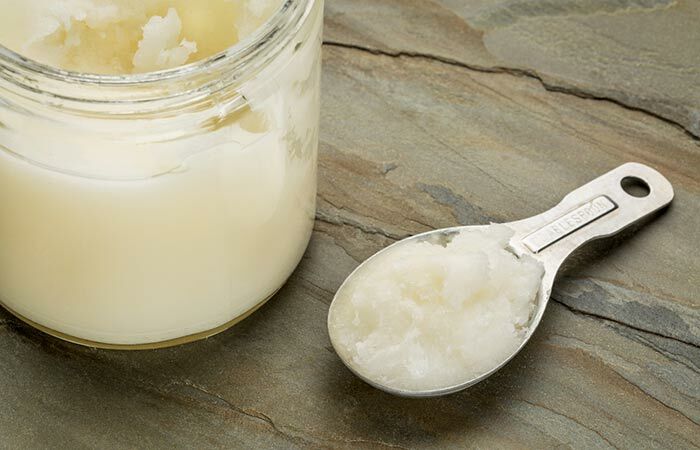 During the winter months, apply coconut oil at night before going to bed. 1. Squeeze out the juice from half a lemon and add this to the honey. 2. Mix well and apply it on your face with the cotton ball. 3. Leave it for 10 minutes and then rinse with water. 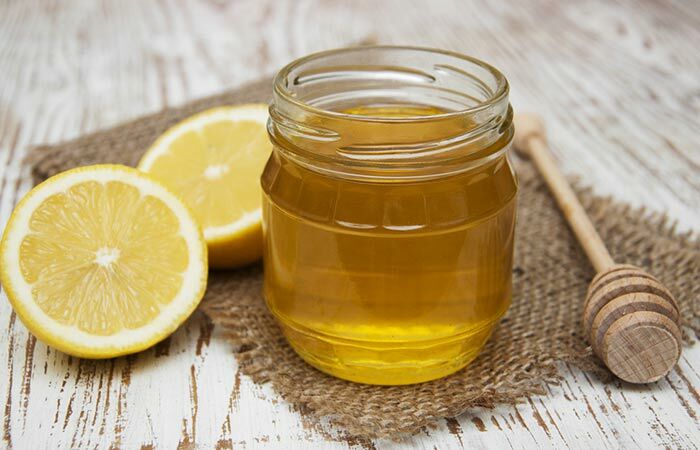 Lemon is rich in vitamin C while honey has anti-inflammatory properties and helps to soothe itchy, irritated skin during the cold winter months (15, 16). Use a good skin moisturizing lotion after using this remedy. 1. Apply the oil on your face and massage gently using your fingers. 2. Let the oil be absorbed naturally into the skin. There is no need to wash it off. You can also use sunflower oil to moisturize your whole body. 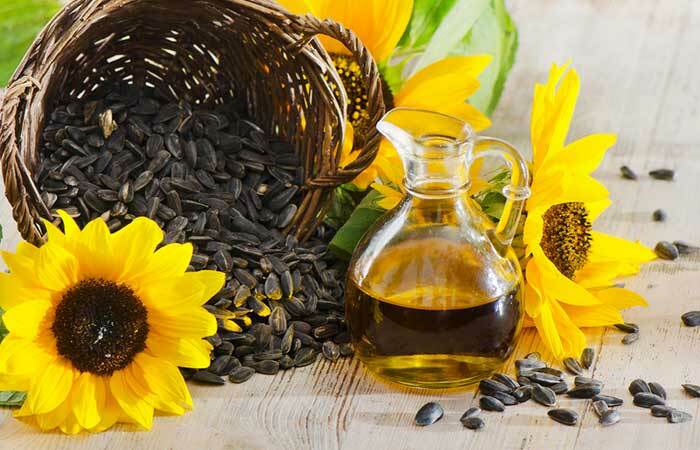 Sunflower oil is an effective remedy for dry skin in winter. It is rich in vitamins and fatty acids. It helps to keep your skin youthful and hydrated as it is an emollient and retains moisture (17). This remedy is best done before hitting the bed. 1. Mash the strawberries and add honey and cream to it. Mix well. 2. Apply this on the face evenly, avoiding the eyes and lips. 3. Let the face mask dry for 10-12 minutes. Rinse with lukewarm water. 4. Rinse with cold water to close the skin pores. 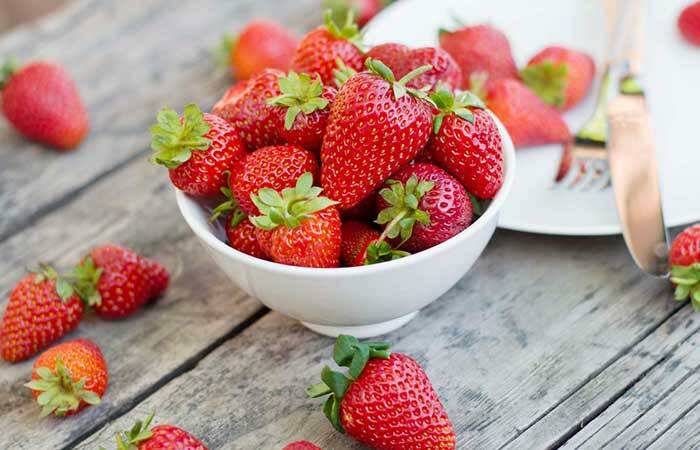 The high vitamin C content present in strawberries helps in relieving dryness. It makes the skin soft, smooth, and moisturized. It is also a natural exfoliant. Its mild acids remove the dead skin cells and impurities that have accumulated and brighten the skin tone (18). Fresh cream and honey are moisturizing agents as well (19). If you are allergic to dairy, add an extra teaspoon of honey to the face mask instead of fresh cream. 1. Mash the banana and add the honey. Mash the banana well so that no big lumps remain. 2. Apply this on your face and keep it on for 15-20 minutes. Banana moisturizes and nourishes the skin with its vitamin C, B6, and A content. These help in retaining water in the skin and keeping it hydrated. 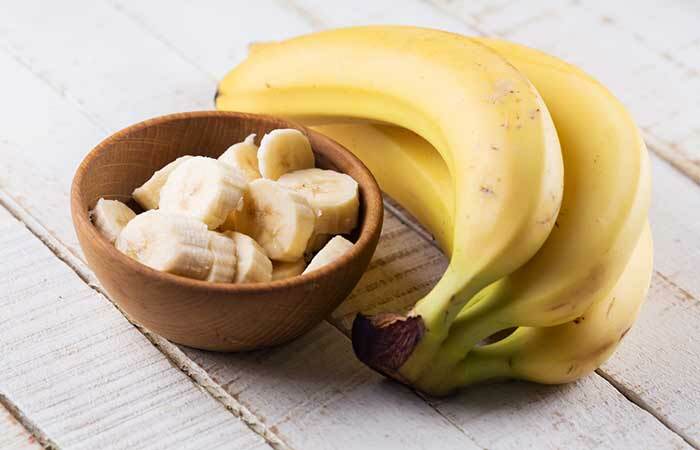 An additional benefit of using this face mask is that banana also possesses anti-aging properties and will smoothen out fine lines and wrinkles (20, 21). 1. Mix the honey and milk. 2. Dip the cotton ball in this mixture and apply it on the face and other dry areas of your body. 3. Let it dry naturally for about 10 minutes. The moisturizing benefits of honey are well known. Milk will help in gently removing dry and flaky skin and making your skin smooth. It also moisturizes your skin (22). If your skin is sensitive or allergic to milk, do not use this remedy. 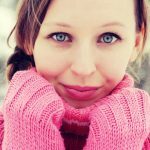 So, now that winter is setting in, your skin may be covered with layers and layers of clothing. However, that doesn’t mean you shouldn’t take good care of it. How else will you flaunt those cute short dresses in summer? With these natural remedies, you can keep your skin soft and glowing all through the winter months, and be ready to flaunt perfect skin this summer.